If thrifted furniture finds were stray puppies, I’d have about 40 dogs in my house right now. Which would be fun and all… except I bet the strays I find are way less messy and don’t chew my shoes as much. My latest thrift store stray though almost stole my heart as quickly as our Yorkie pup Lola did (who coincidentally, we rescued from Craigslist). 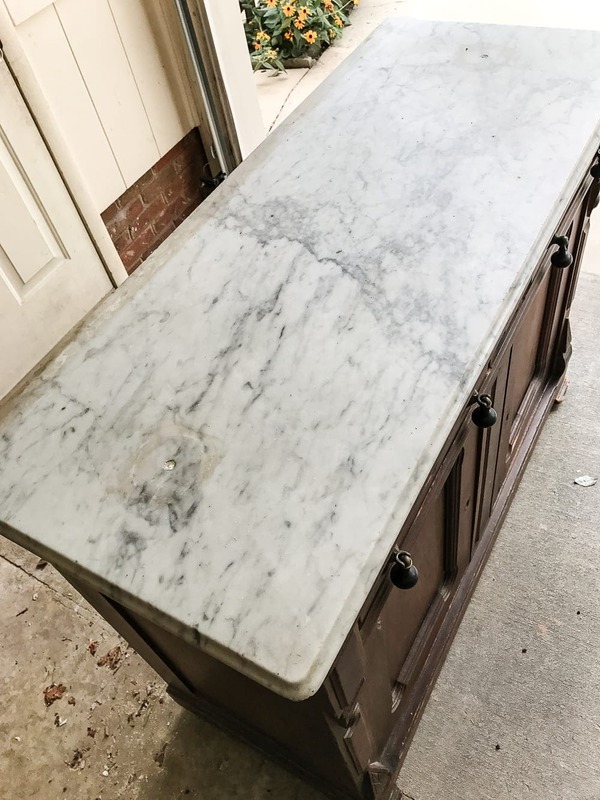 This marble topped, solid wood beauty just happened to come along in time for me to give it a facelift for this month’s Trash to Treasure Transformation Tuesday (you can check out some of my blogger friends’ thrifted flips at the end of this post). Can you believe it was only $130 at the thrift store?! 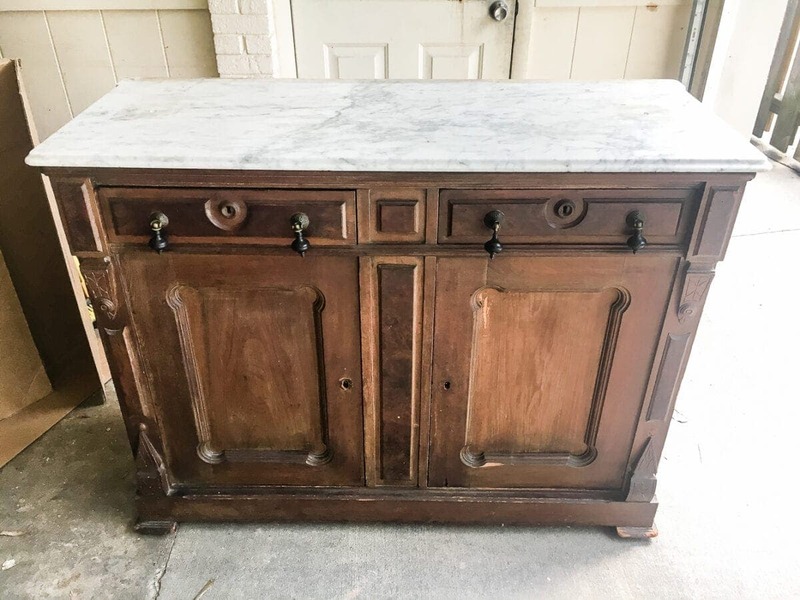 I’ve seen buffets identical to this go for $600+ in antique shops. Ever since we moved into this house, I’ve had this vision for the blank wall in our kitchen that was just begging for a coffee bar. Plus, with all of the white on our kitchen cabinets and backsplash, I was really hoping for something wood to add texture and contrast in this space. 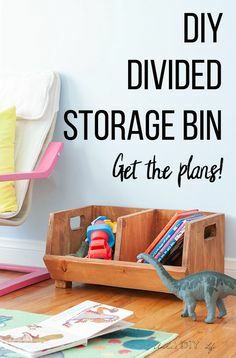 And we really really needed the extra storage. All the buffet needed was a quick cleaning and some white wax. 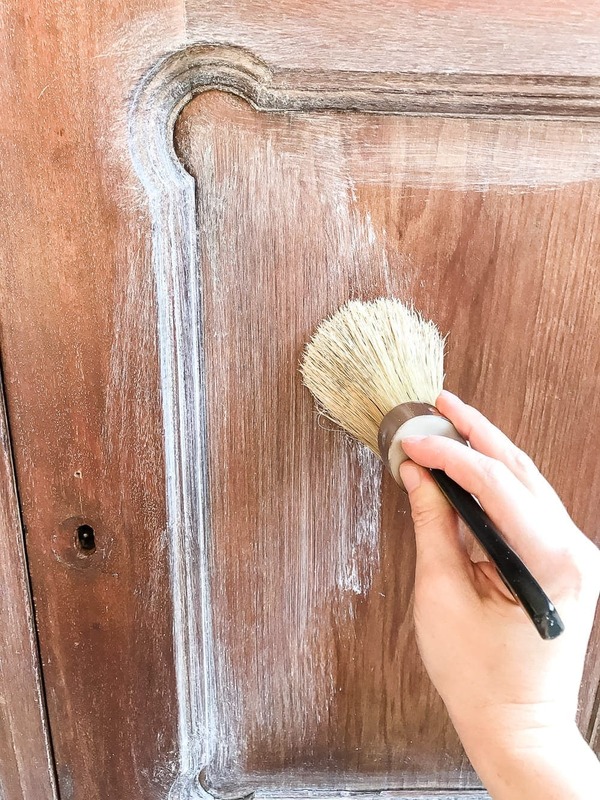 The buffet was really grimy to begin with, so I gave the wood a good scrub down first with Simple Green, like I usually do with most furniture (because um… who knows what could be living all over it… bleck). To patch two holes in the marble, I filled them with the clear Gorilla epoxy. And for the wood part of the piece, I touched up the damaged raw wood spots with a small sample pot I already had of the Homestead House Cappuccino Stain. After the stain had dried overnight, I applied the white wax with the wax brush. I worked on one side at a time by just brushing on the wax and working it into the details and corners, then lightly buffing with the dry rag. There’s really no science to it. It’s just a matter of adding as much or as little as you want, and if you would like to remove any of the white wax, you can use a rag to apply a bit of clear wax in the spots where you prefer less of the white. I love the roughness this piece has to it now, and since the wood was in pretty bad shape to begin with, I don’t at all feel bad about adding that lime finish layer. Woot woot texture! Since the two key holes on the doors were badly damaged, I ended up adding these bronze keyhole covers too. 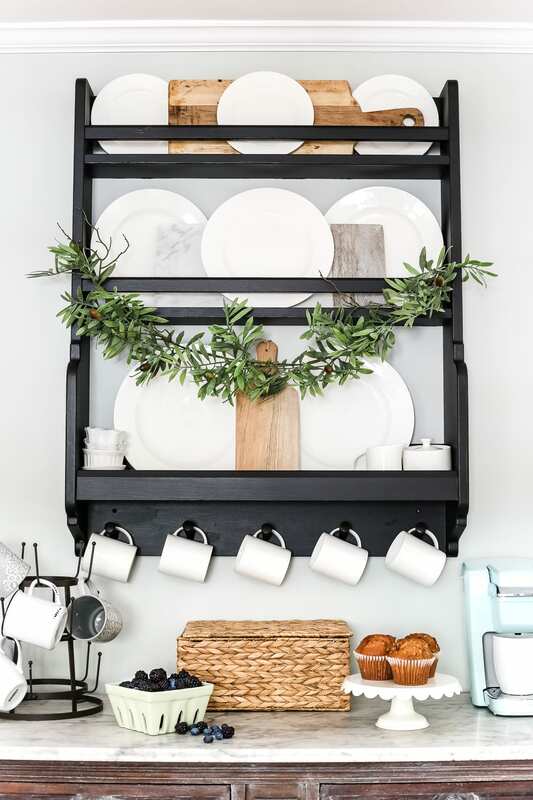 When I was trying to decide what to hang above the coffee bar though, I kept thinking I should try to build a plate rack with a few pegs for coffee cups, but then I found this one at IKEA that was exactly what I planned to build! And it was $80, so almost what I’d spend in supplies, plus it’d take a whole lot less time. 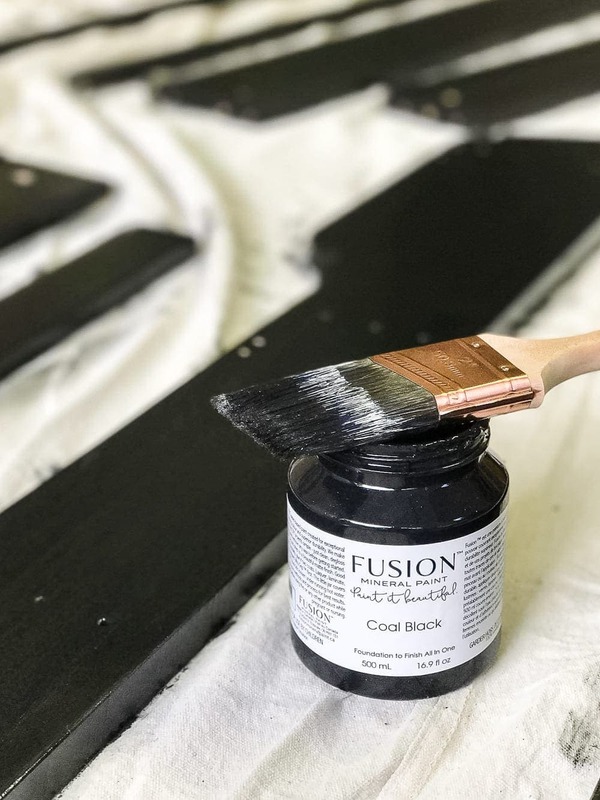 It was plain wood to begin with, so I brushed on two coats of Fusion Mineral Paint Coal Black before putting it together. 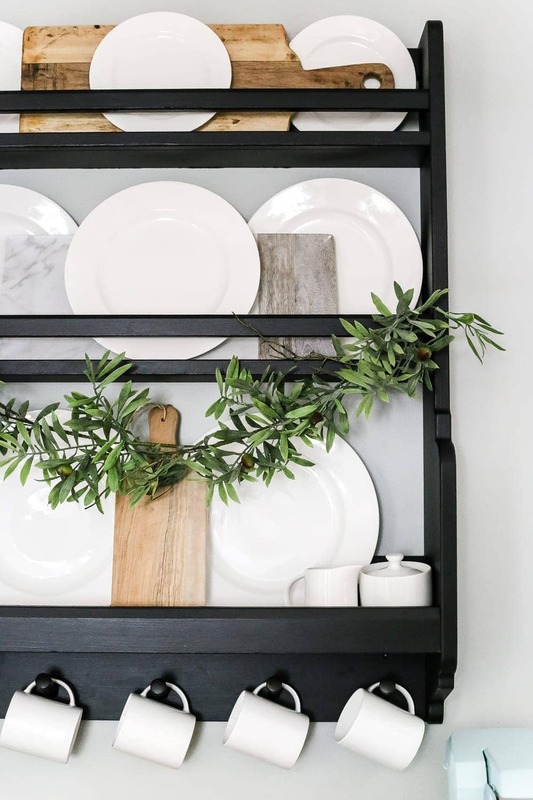 Robert and I hung it up over the weekend, and I had way too much fun styling it with our white dishes (that were the best wedding registry items in the history of ever). While I was gone to the Haven Conference in Atlanta the other week, Robert surprised me with this Keurig, which he calls “Bless’er House Blue”. I guess I use that color a lot. Ya think?! (I have an aqua blue problem; I fully admit it.) Love this hubby of mine and have no idea how I got so lucky. To store all of the K-Cups we’ve picked up for it, I got this water hyacinth box with a top to keep them hidden. 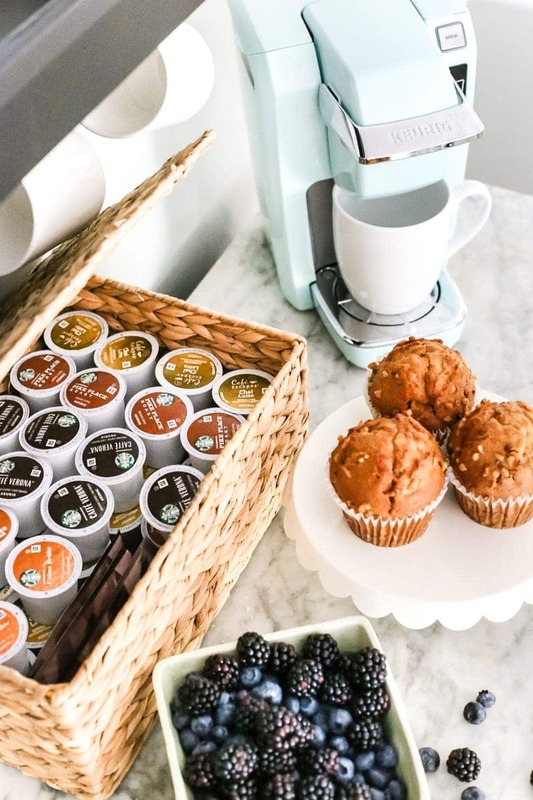 Monday mornings just got magically brighter. And really every morning now, for that matter. 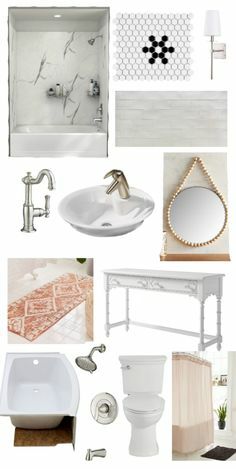 I think after this buffet, our foyer chest, and our powder room floor, I finally have marble out of my system now. Just maybe. 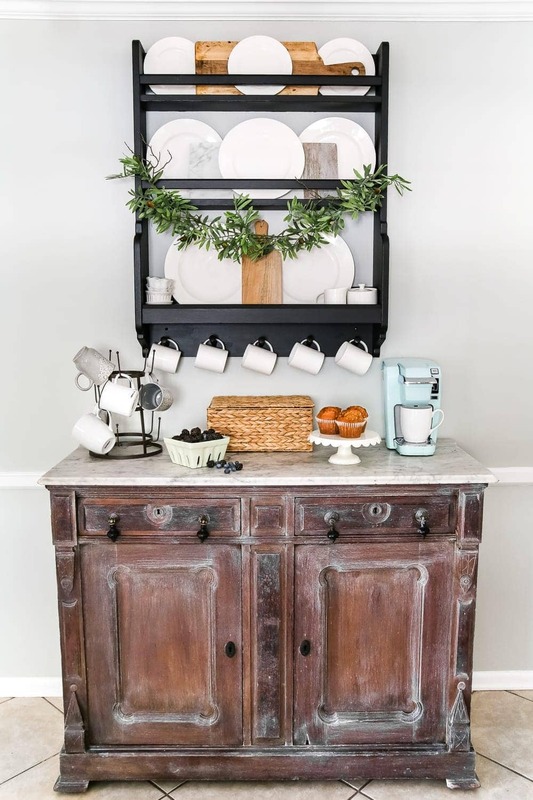 Between this buffet, our castoff kitchen table, and our junky antique banisters turned wall planter, all of the shabby strays in our house are looking pretty fab together. I’m constantly amazed at how a little imagination can do big things to make a house feel like home. Found any amazing thrift store finds yourself lately? I’d love to hear all about them! Lauren, this piece reminds me of the set that I slept in as a child that belonged to my maternal grandparents. What a trip down memory lane! Glad to see I’m not the only with with a beverage bar on the brain today. hahaha… You rocked it! Love it!! 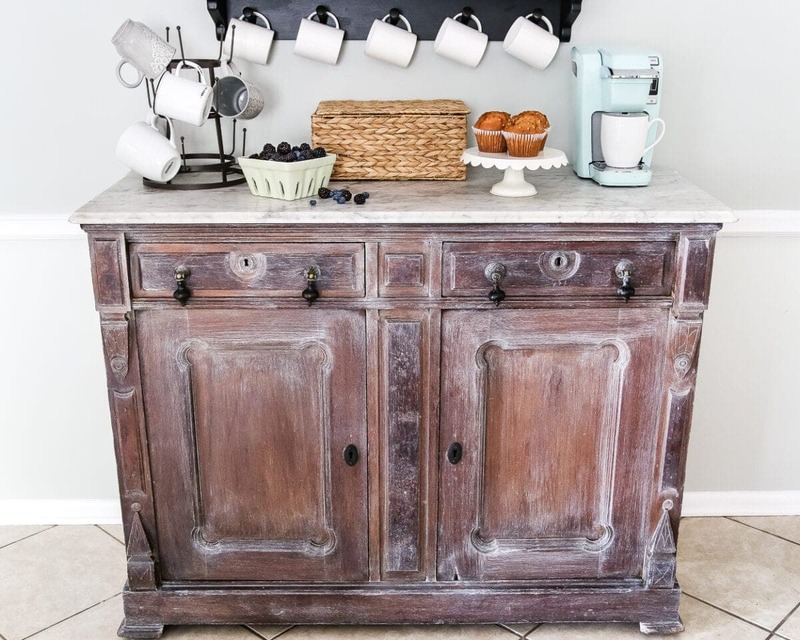 I have a similar marble-top dresser that has 2 holes in the top. I assume it had some kind of mirror attached to it at one point. I will definitely get the clear epoxy to fill those holes. 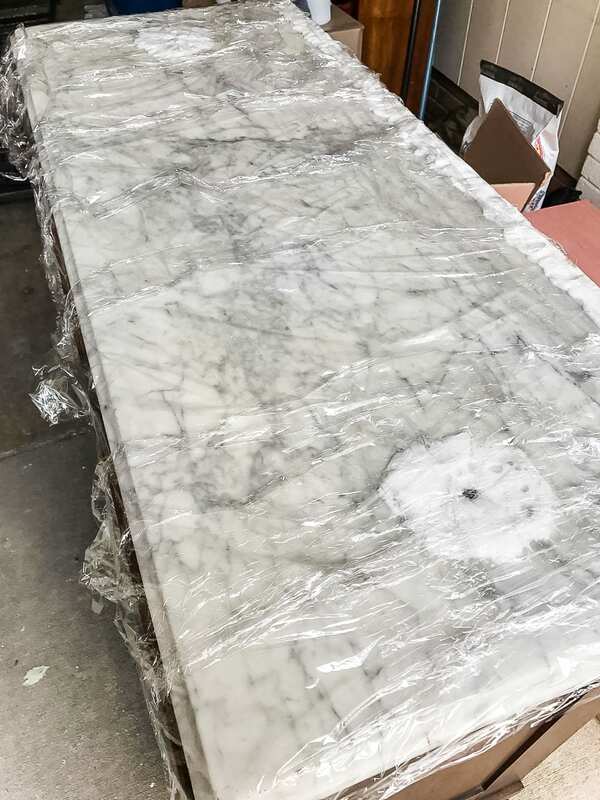 I read your tutorial about cleaning the marble top on the piece you have in your foyer and plan to follow it step-by-step. Thanks for the tips! Completely jealous of both marble top pieces! Love that you didn’t paint it, the wax looks great! Now if I could just find pieces like these. I like your concept, but to me, the piece doesn’t look finished. Looks great!! Love the new shelf!! I love the coffee bar! 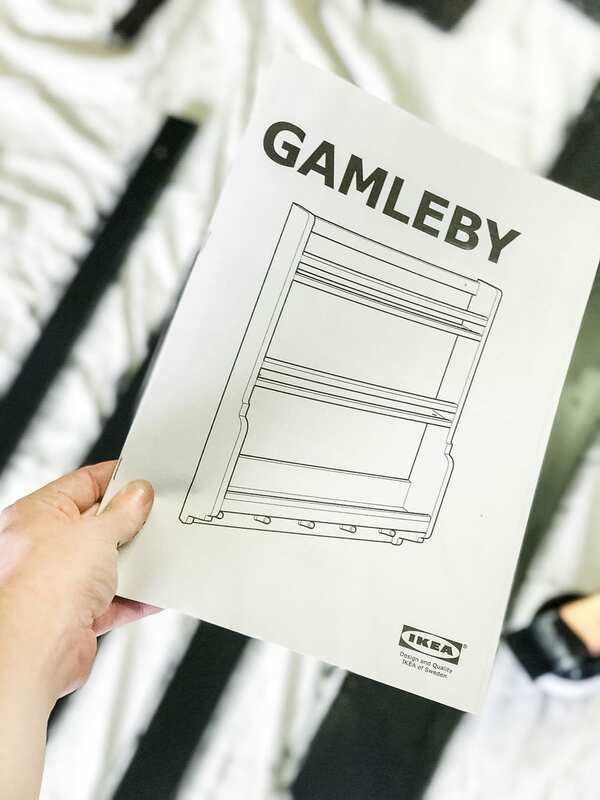 Perfect for that space. 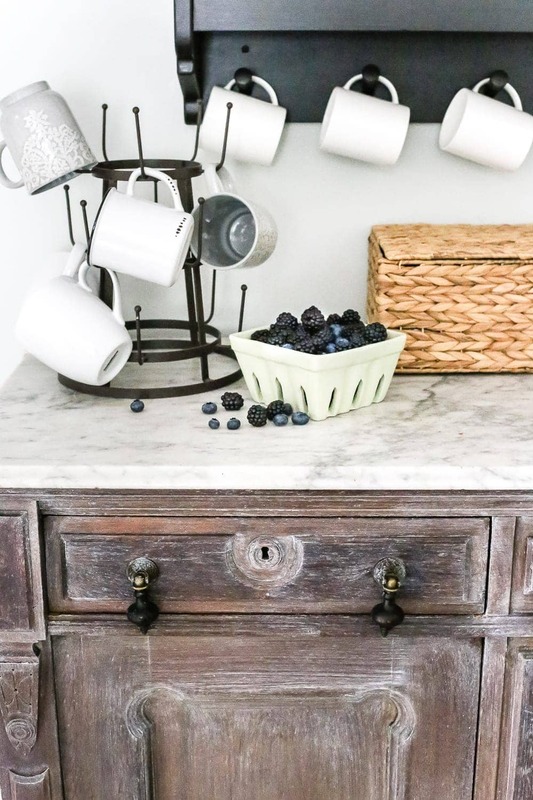 Until you get the floor you want, have you considered painting the grout white? 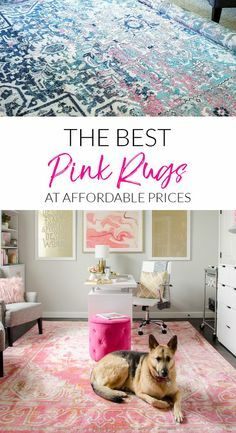 It might brighten up the floor and blend in with your decor better. 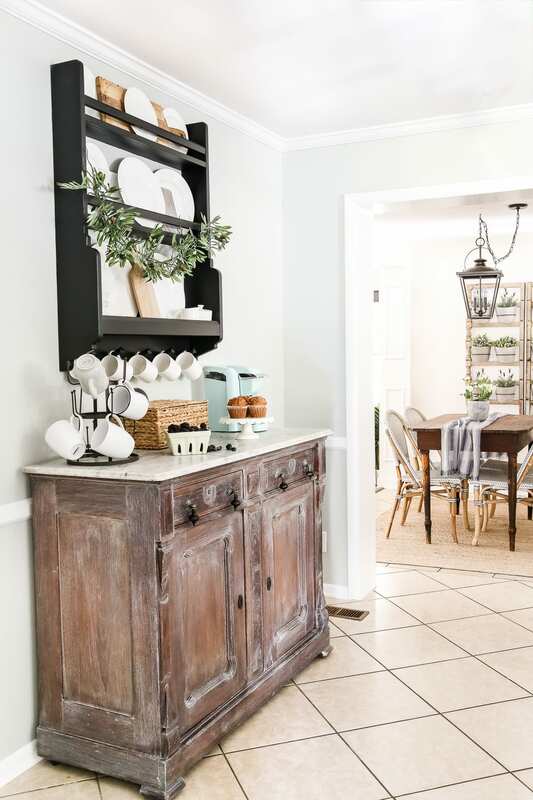 I love, love, love the planter in the dining nook! What a fabulous find! 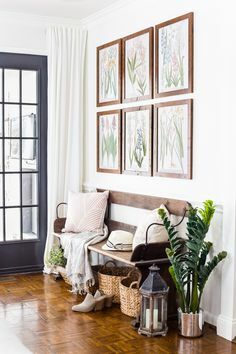 I love what you did and how it looks in your home. Everything is coming together so beautifully, Lauren! 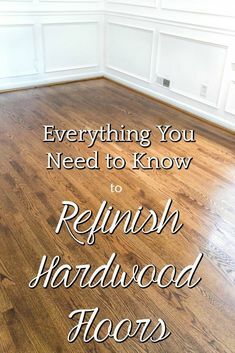 I’ve always wondered how easy that lime finish would be. 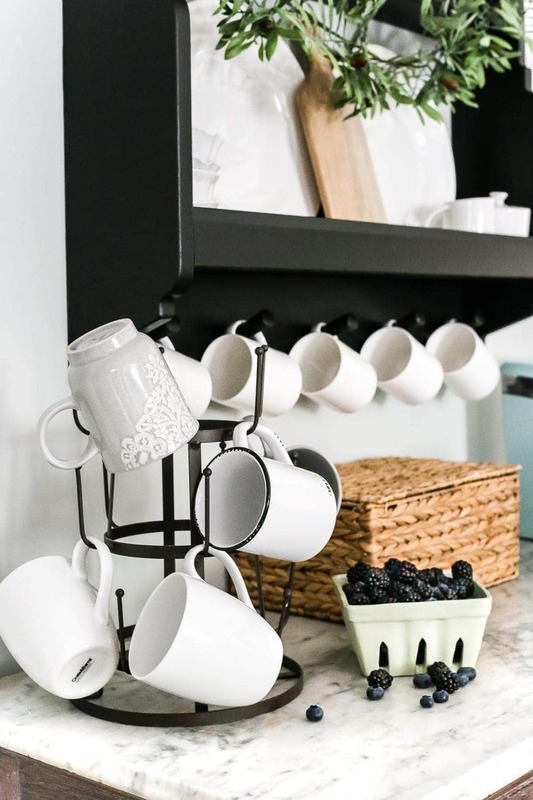 Your new coffee bar looks amazing! I’d like some of your do-it-all-and-do-it-awesome pills. Not sure how you accomplish all that you do. Seems like everything you touch turns to gold. And hubby is definitely a keeper! Hi! I kinda agree with Diane…….it’s a great piece, but it looks to me like the wax needs rubbed in, it just doesn’t look finished. But I am no expert on doing any kind of finishing, so maybe it is supposed to look like this. I can’t see the rest of your room, but I think it would look fantastic painted a deeper wood stain. But that’s just my opinion! 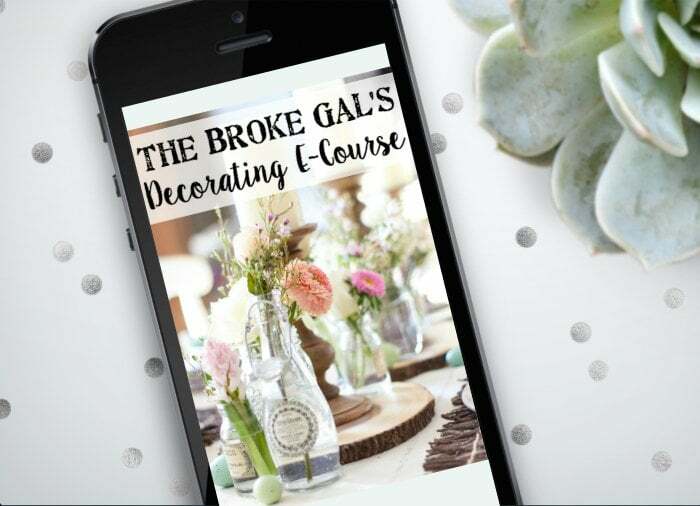 You do great work and I love your blog! I love your work! The cofee bar looks gorgeous and I like how you reserved the original look of the wood. 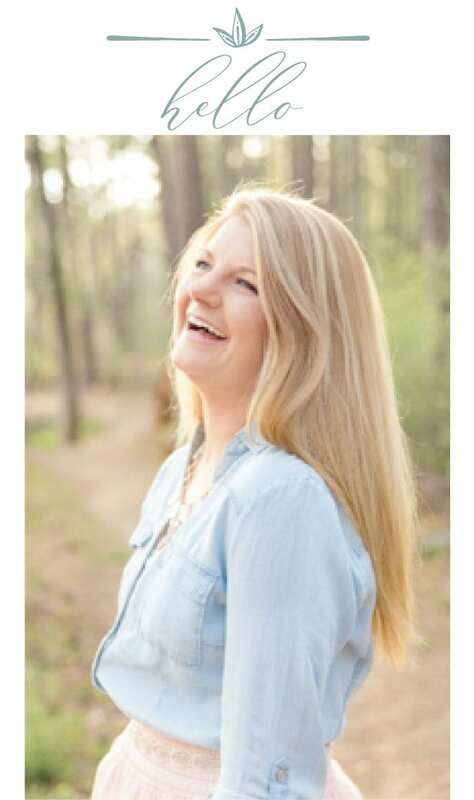 Lauren, I have been following your blog for a while (love it and your sweet family). 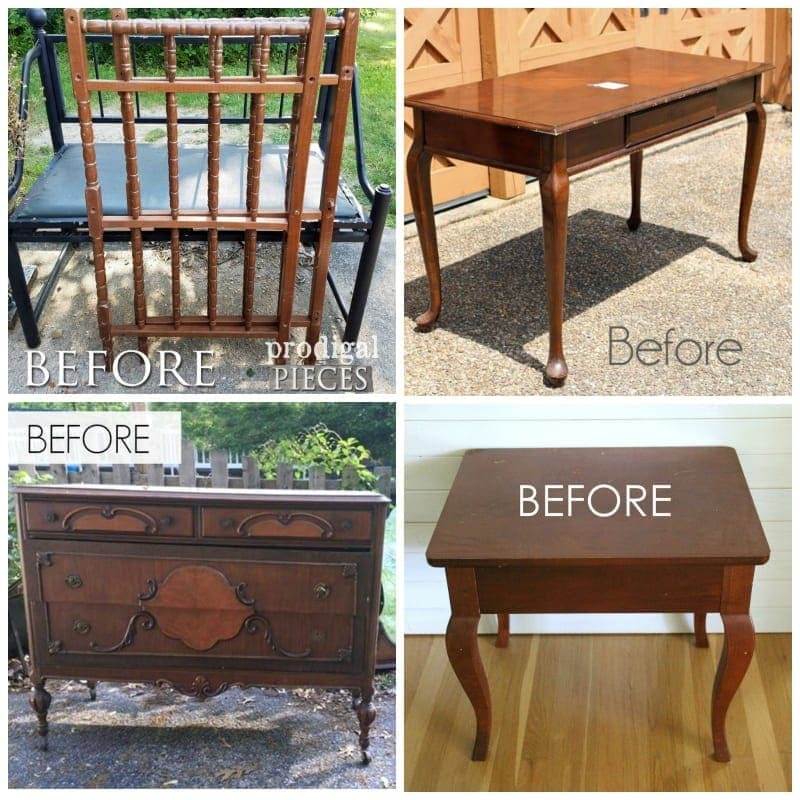 You mention often cleaning furniture you plan to refinish or paint with Simple Green. Can you tell me how you do that…full strength or diluted? Thanks so much. Blessings. I go full strength and just wipe it down with a dry rag. TSP is a great furniture cleaner for prep too, but that requires rinsing, and I never have to rinse with Simple Green.